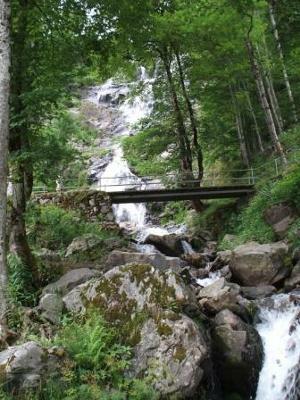 The Todtnauer Waterfall can be found in the southern Black Forest just off of the L126 near the village of Todtnau. It falls 97m in two drops. 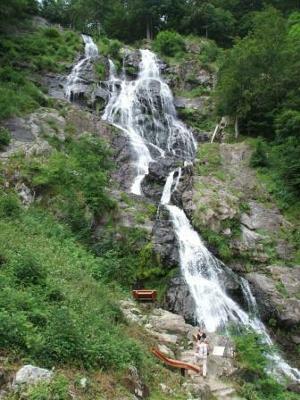 From the car park there is an easy trail to the fall. A bridge crosses over midway and there are a couple of wooden reclining benches to allow you to lie back and gaze straight up at the cascading water.